As temperatures rise and spring season starts to approach, more people will find themselves having symptoms like runny nose, sneezing, and itchy/watery eyes. These are due to the allergic reaction with the various types of spring pollen that is in the air and the environment. The most common types of pollen that cause these reactions are from trees, grass, and weeds.Trees such as birch, hickory, pine, oak, elm, and sycamore are some of the most common pollen allergies. Grasses like bermuda and timothy often give people allergy troubles. If you plan on being outside in the spring, try and avoid such plants to reduce your pollen exposure. In addition, using a HEPPA filter in your home and shutting your windows to decrease your inside pollen count can help you sleep better at night. If you are suspicious that you may have a spring allergies, it may be a good idea to go to your nearest allergist to get a skin test or blood test to screen for these and other potential allergies. Knowing your allergies can be quite helpful in maintaining your symptoms. For instance, taking antihistamines, a form of allergy treatment, several weeks before the pollen count gets too high can help manage your symptoms so that they are not as severe. In addition to taking chemical medications like Allegra, Claritin, or Zyrtec, allergy immunotherapy is highly recommended. This allows the patient to slowly build the immunity to the allergens they may have without having to consume chemicals on a daily basis. This is a more fundamental type of treatment and should always be considered in the options for treatment. 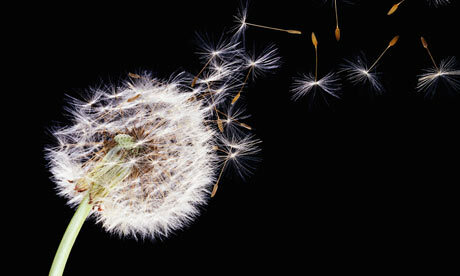 Before spring season hits too hard, come in for an allergy screen to see what you can do to feel your best this season!